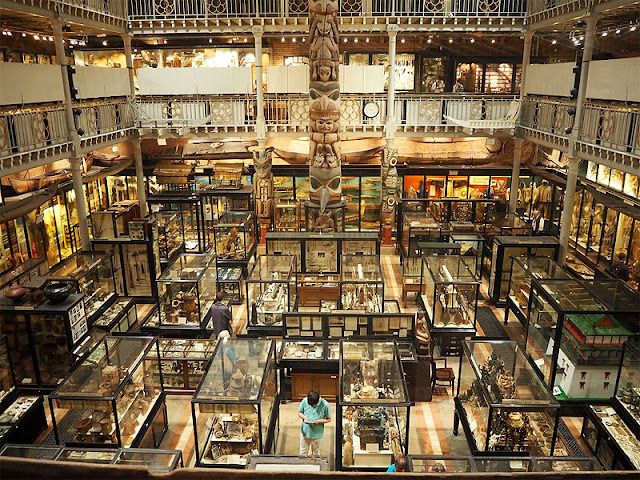 The Pitt Rivers Museum in Oxford has quite the collection of ethnographic items from around the globe. 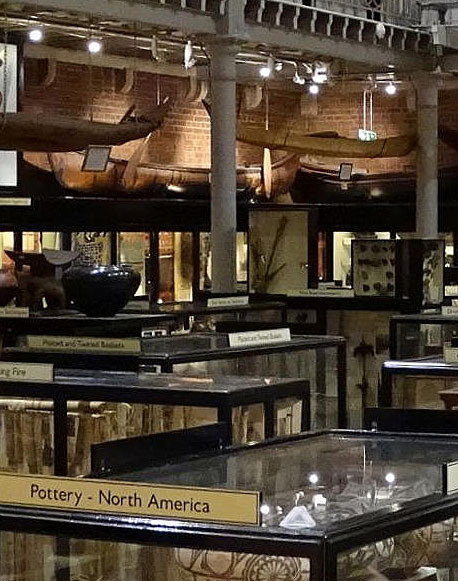 Their main display hall is quite the feast for the eyes! 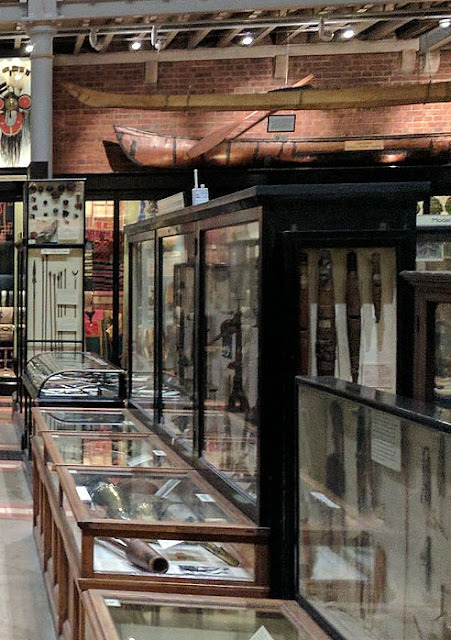 While perusing some of the online photos folks have taken of this interesting place, I noticed a full sized bark canoe tucked onto an upper shelf (top left of photo above). I believe this is the canoe that Elspeth Soper posted on her blog during her visit to the museum back in 2015. However there were no mentions of paddles. With this canoe display appear to be two full sized paddles leaning up against the hull. Another cropped photo sourced below showcases one of the paddles with its willow leaf style blade. I believe this might be item 1886.1.866 posted about before which features an slightly indented grip face and drip ring. Cultural Group: NE ?Subarctic ?Woodlands E Algonquian Local Name: Unknown.